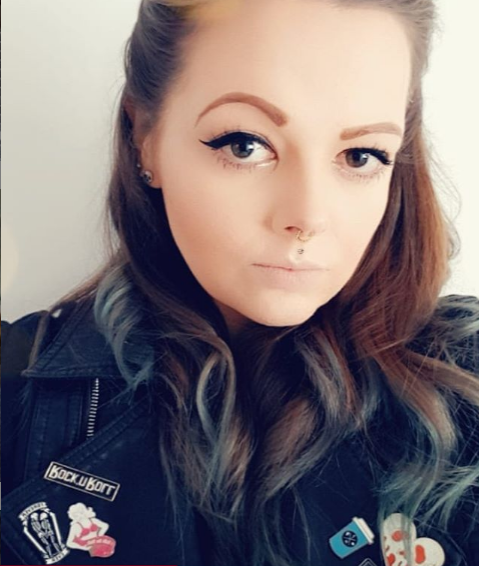 Welcome to the second day of my 'Week Of Beauty'! 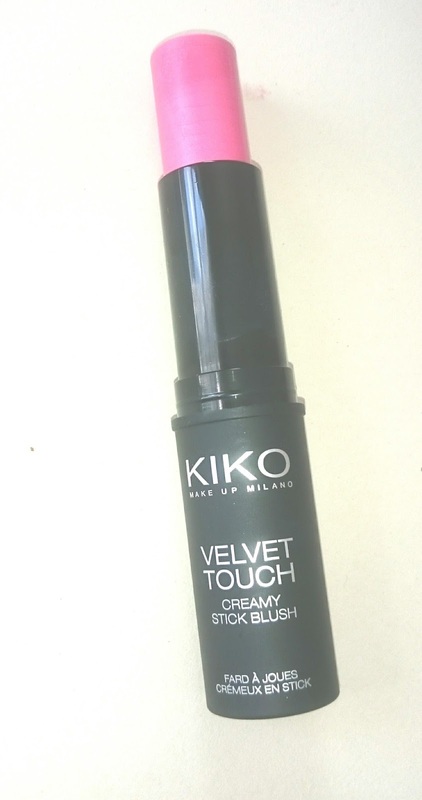 Today I'll be reviewing Kiko Creamy Stick Blush in shade 04. Is it possible to have a blusher addiction? I literally used to avoid the stuff like the plague but the older I'm getting the more I'm loving it and the more I seem to have floating around my makeup stash. I just can't help myself with it! 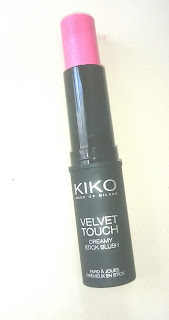 So I was hoping that my addiction to blush would change my mind, as I'm always seeing awesome reviews for Kiko! I got this Velvet Touch Cream Blush Stick in shade 04, which is a super sugary pink girly pink. Not one I'd be reaching for everyday but a nice one I could wear on those subtle makeup days! 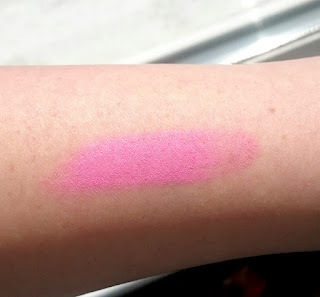 This blusher promises radiant, highly adaptable with easy application. It's also paraben free and hypoallergenic. It's also suppose to give a sophisticated result, whatever that means! Now use wise, I'm not I'm loving the whole stick idea. I've found application direct from the stick was a bit tricky, so I ended up transferring colour onto my hand and then applying it to my face.I do love the chunky packaging though, even though I'm not entirely sure why! Colour wise, I love it. It's such a gorgeous pink colour that's so utterly girly it'll make unicorns sick. It's super easy to get colour and it's buildable, perfect for when you want it to make more of an impact. However, I love a good matte face. I hate looking shiny, I am at a constant battle of making my face as matte as it can be and this formula can leave your cheeks looking shiny unless you lock it down with some transparent powder. However I am totally willing to have to top up my powder to use this little beauty. My only wish is it came in a powder form so I can just brush it on as a traditional blusher. I don't really like applying it to my face with my fingers and I'm always a bit worried I'm going to wipe off my foundation with the creamy texture. 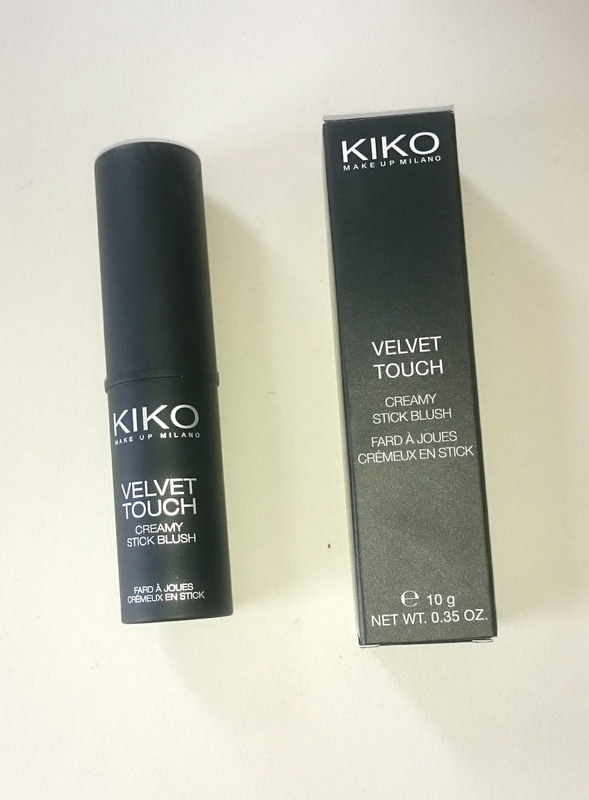 Overall this Kiko product hasn't rocked my world and I'm not totally sure I'd repurchase but it is one I'll continue to use until it's gone! Are you a creamy blush or a powder blush person? Gorgeous colour! It looks so vibrant and pretty. Kiko are so good. Their matte lipsticks are just divine!